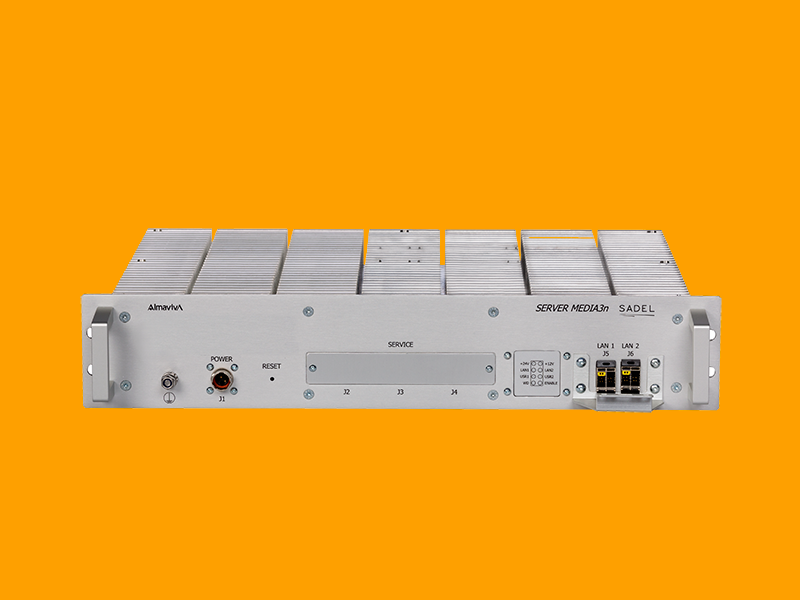 MEDIA3n Server is a lot more than a rugged railway server. The design satisfies all the railway requirements with off-the-shelf Intel Core i7 architecture. Its computational power addresses a broad number of applications and services related to train journey information, multimedia contents distribution, on board video surveillance live view and diagnostic management. The server can be equipped with an optional SmartUPS for safe shutdown in case of main input power failure. • Multimedia Web Server: combined with the on-board Wi-Fi intranet, it provides passenger the journey real-time information and multimedia contents directly to their personal device. • Streaming Server: providing an alternative solution for Dove6 service in vehicle with already existing LCD systems. • Crew Web Portal: permitting the Train Crew to interact with the PIS subsystems for diagnostics, monitoring and commands. • NVR Server: implementing a fully compliant GDPR CCTV system with local and remote management for real-time and recorded video sequences. The CCTV system is integrated with the other PIS subsystems, thus obtaining a situation-aware tagging of the images. • Diagnostic concentrator: providing a custom or standard SNMP diagnostic server, managing both Almaviva/Sadel devices and third party equipments as well.